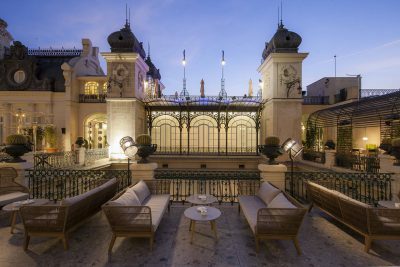 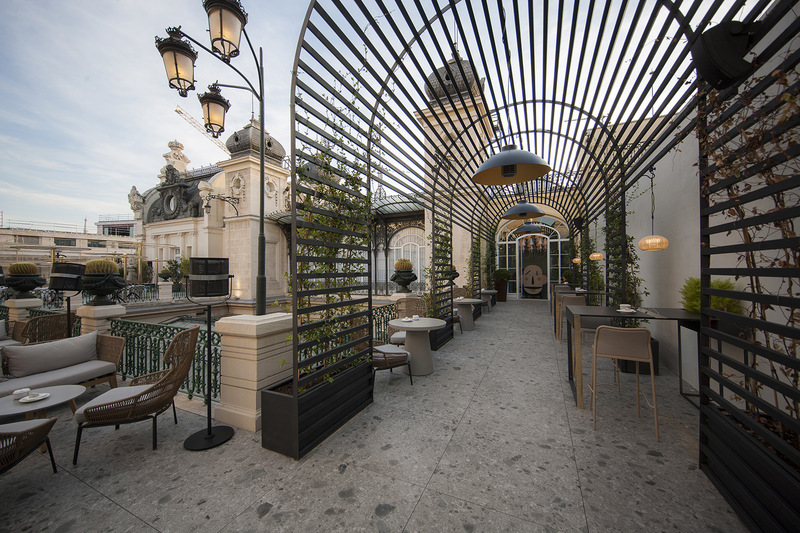 Located on the magnificent roof of the NH Collection Casino building in Madrid, we find the Terrace of the Casino restaurant. 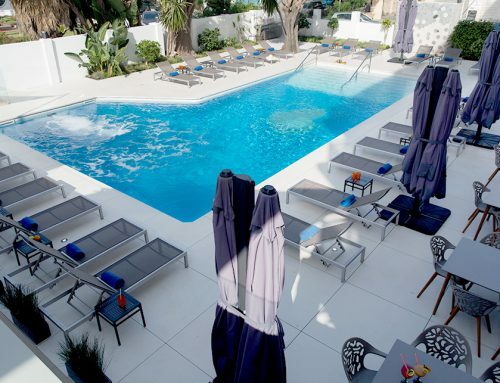 Directed by Paco Roncero, wich was awarded with two Michelin stars and three Suns from the Repsol Guide. 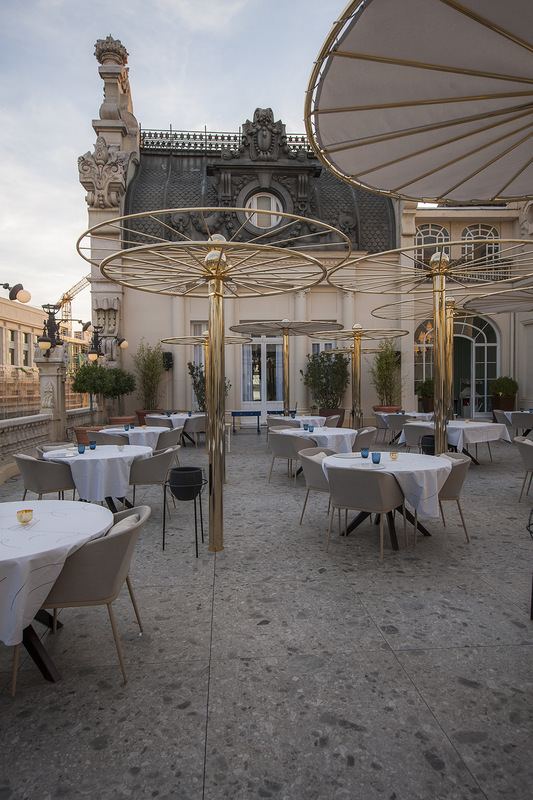 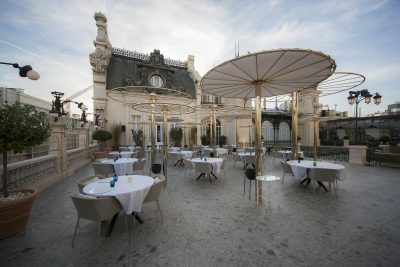 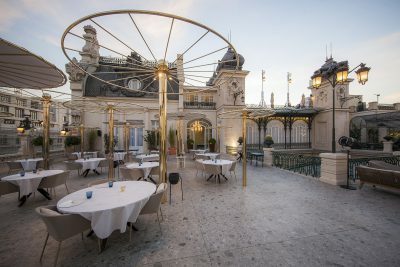 From the hand of Guixeres study, the renovation of the terrace has a modern and elegant design, making it an ideal place to enjoy a good gastronomy in one of the most surprising space of the Casino of Madrid. 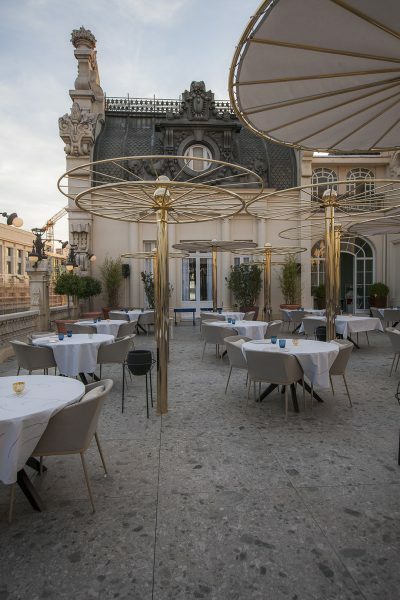 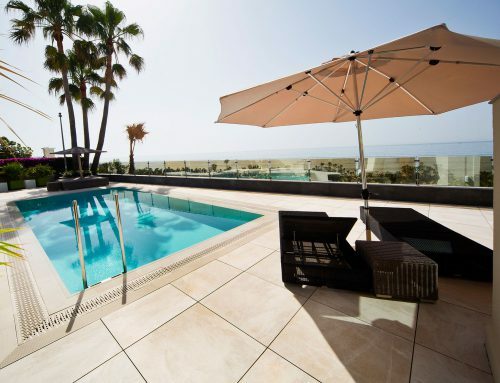 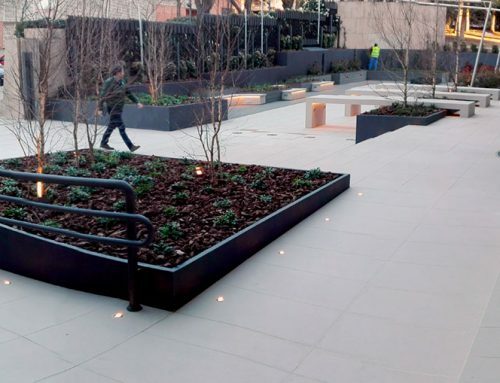 The technical pavement of this spectacular terrace, has been made with large format of porcelain pieces 100 x 100 cm through the Wandefloor Outwase system, which allows to work with pieces of these sizes at the same time while it conferes the most security and resistance in the market.